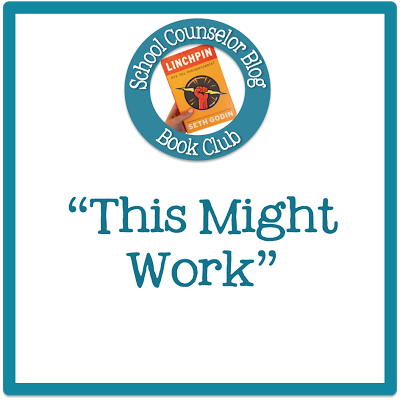 Our third discussion of the School Counselor Blog Book Club begins Wednesday, July 3 on the School Counselor Blog Facebook Page! 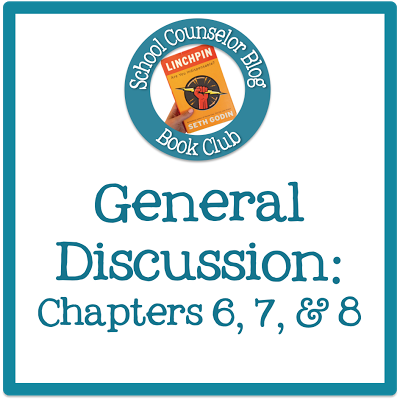 We will be discussing Chapters 6, 7, and 8 of Linchpin by Seth Godin. I was late getting this out via my blog, by the discussion has already begun on the School Counselor Blog Facebook Page Please stop by and share your ideas and comments!!! 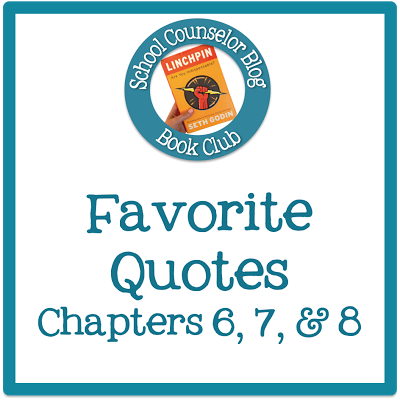 Discussion questions and themes to discuss will be posted on the School Counselor Blog Facebook Page. Check in and discuss throughout the day! Also, feel free to add to previous weeks discussions, comment, and reply throughout the book club! 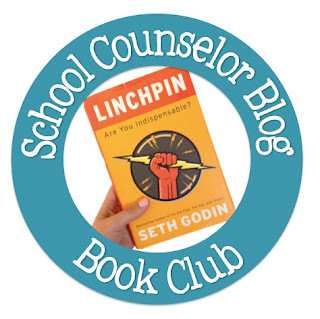 If you are on Twitter, you can discuss Linchpin by Seth Godin with us by using the hashtag #scbbc (School Counselor Blog Book Club) and #linchpin. 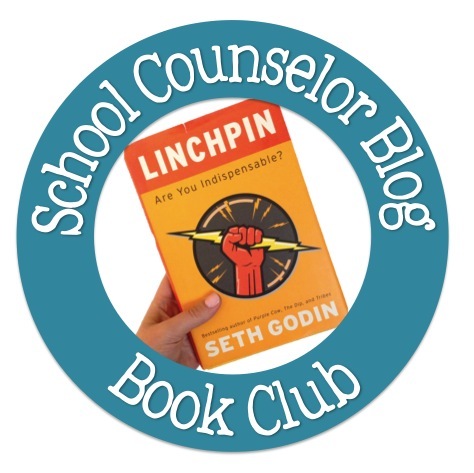 I look forward to kicking off our third week of discussion of Linchpin by Seth Godin with you! Click on the images below to participate in the discussions of Chapters 6, 7, and 8! 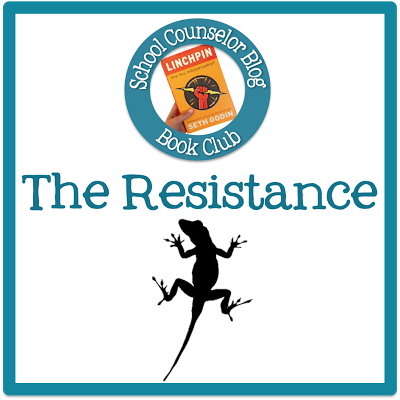 Announcing the School Counselor Blog Book Club!